What are the best music organizer programs? does anyone have some good suggestions? If you have the above puzzle, then you have come to the right place! You can use the Best Music Organizer to clean and sort your massive music library, which would be a time-consuming and an exhausting process if you do it manually. This article discusses and compares some best music organizers for Android, Windows and Mac OS X platforms. 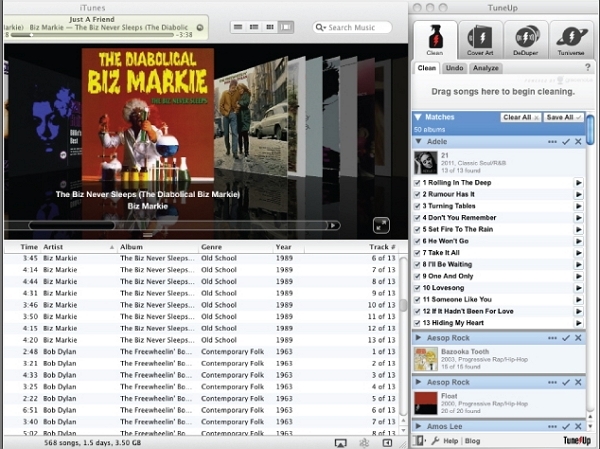 One of the best ways to organize music for Apple devices is to use iMusic . The best music organizer for iTunes has received the highest star ratings from the end users among its many competitors. The latest version of the software is 8.0.0 and has many revolutionary advancements as compared to the older versions. Although it is a paid application, the quality of services provided by the program is worth the required price. iMusic is regularly upgraded by the developers that makes it one of the best music organizing software. Even though the software is available for Windows platform as well, it works best with Apple devices, i.e. for Mac OS X and iOS. Contain the best music organizer to organize iTune Library ,fix music cover ,remove the duplicates files. iMusic enables you to perform many tasks that can efficiently organize your music library,and also it's the best music organizer for Android, some of which cannot be achieved even by using iTunes. The application is handy and lets you transfer the data among your Apple devices by completely bypassing iTunes in the process. •	The in-built intuitive feature of the software automatically fixes the album art, album information and tag information. •	The music organizing software enables you to convert music and video files into Apple supported formats or Android support formats. •	Using this application, you can delete duplicate files from your library easily and efficiently. •	With this music organizer's in-built player, you can directly play the music in iTunes library or connected devices, and the lyrics could be shown as well. •	You can dicover many popular music from iMusic embedded music website and search music via iMusic YouTube search function quickly. 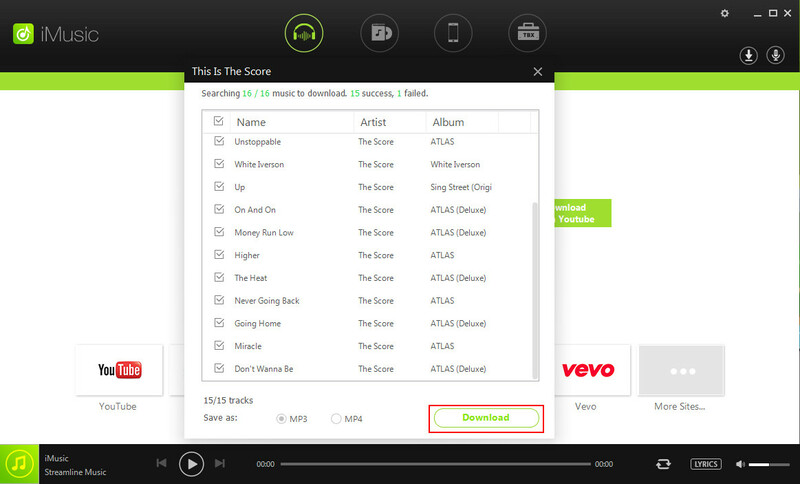 •	Download music from YouTube, Spotify and record music from any online streaming sites or radio stations. •	You can connect and transfer the data among multiple Apple devices and Android devices at the same time which reduces the cumbersome task of loading the data to your computer first. This greatly streamlines the data transfer process. •	With this music organizing , you can share music and videos between iCloud (purchased with a different Apple ID) and iTunes library. •	All the features of the best music organizing software can be easily accessed through the clean and visually enhanced interface. •	The 24/7 support provided by the Aimersoft’s technical team can assist you via live chat in case you have any issues while using the software. As a one of the best music library organizer , iMusic could help to fix the missing tags and covers, remove the duplicate songs and fine the missing songs. The following guide will show you how to manage your iTunes library. After download iMusic from the above box, run this software to it's "Toolbox" interface. 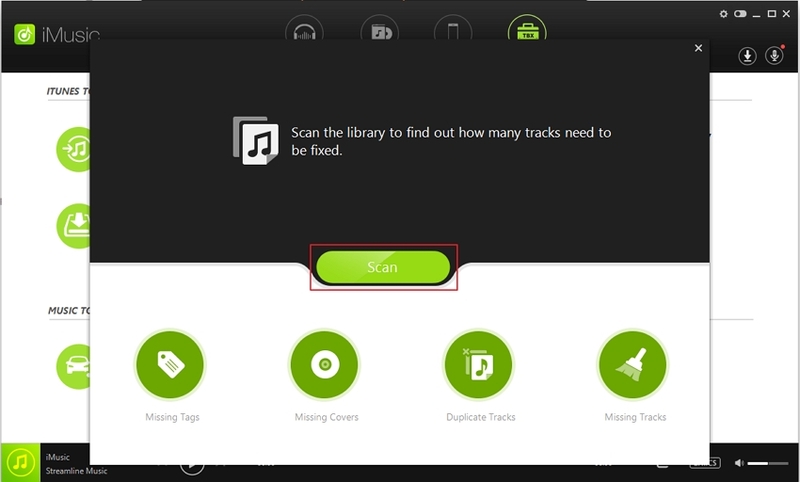 Then click "CLEAR UP ITunes Library"
The program will navigate you to scan interface, click the "Scan " button to come into the next process. Following that , come to click the "fix" button, then you will finish the whole process to manage iTunes library. Note: You could solely fix one of the four items ( missing tags, missing covers, duplicate tracks and missing tracks) for all the music. For exapmple, solely find and eliminate duplicated tracks or songs. Besides , you could choose the manual method to fix itunes library one by one for certain songs . To Get more details for Fix iTunes library, you could click here to get more . Free trial version for Windows. Paid version for Apple costs $31.99. It is a freeware It is an unrestricted freeware. Free trial version available. Can be upgraded to ‘gold’ version for $20 Can be purchased for $39.99. It is a freeware. •Allows you to organize your music library. •	‘DeDuper’ feature lets you delete the duplicate files. •	‘Tuniverse’ is a smart feature of the application •Comes with a simple and clean interface. •	Gapless playback feature enables you to play audio files without interruption. •Allows you to import audio files from iTunes and Windows Media Player. •	Comes with a streamlined and easy-to-use interface. •Has a completely customizable interface. •	Intuitive feature automatically fixes the missing metadata information. • Automatically adds missing album art in your library. •	Allows you to delete the duplicate files and perform a ‘test deletion’ to ensure the correct files would be deleted. • Easy to use and clean interface makes it convenient for beginners. •	Automatically fixes and sorts your music library. TuneUp Media is a simple plug-in and a must-have companion application when it comes to cleaning and organizing your music library. 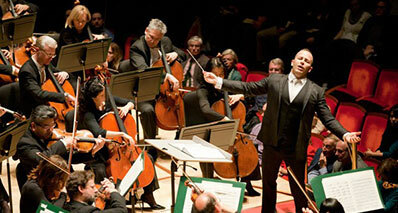 Being enriched with unique smart features that make the application one of the best music organizers, the program gains the highest star rating among its various competitors. The revolutionary software is changing the entire process of managing, organizing and discovering the digital music collection. •	The smart feature of the application called ‘Tuniverse’ offers unique music discovery options like local, personalized concert alerts, and finding new music releases as per your genre proclivity. •	The ‘DeDuper’ feature of the software enables you to effectively remove duplicate files by using advanced acoustic fingerprinting technology. •	The application automatically identifies and fixes your media files quickly and efficiently. •	Since it is not a standalone software but a plug-in, it enhances the functionality of pre-installed iTunes and Windows Media Player. •	The free trial version enables you to fix only up to 50 tracks. •	The advanced features, at times, become complicated to use for the beginners. 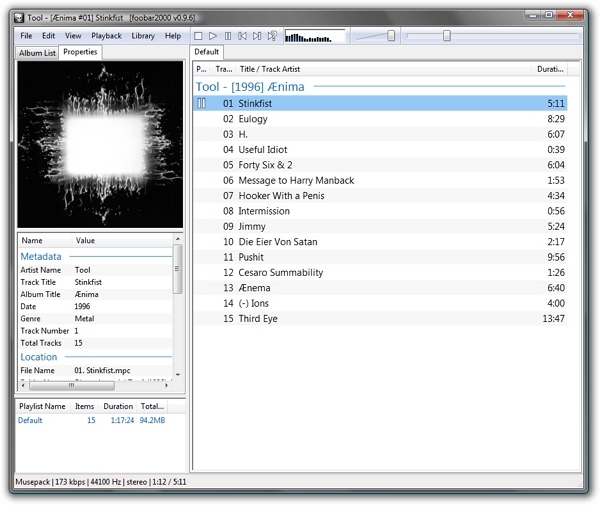 Foobar2000 is an unrestricted freeware that works as a standalone software for your device. Regular updates for the application are provided by the developer. The latest version comes with generic performance optimizations that enable you to organize a vast number of audio files in your library efficiently. •	In contrast to other music organizers that come with a complicated interface, Foobar2000 has the minimalistic and simplest interface with better functionality. •	The software has a built-in music player that supports almost all audio file formats. •	The gapless playback feature that Foobar has allows you to play your audio files without any delay/interruption. •	This is one of the fastest and most versatile music organizers that can handle a large number of audio files with ease. •	The application comes with a completely customizable interface. •	Foobar2000 also has a plug-in system on par with Firefox. •	The application has a steep learning curve and requires moderate to advanced computing skills that makes it difficult to use for beginners. •	There is no Help Forum for the software so you are on your own when it comes to understanding a particular feature. •	There is no built-in video player and therefore you can play and organize the audio files only in your library. 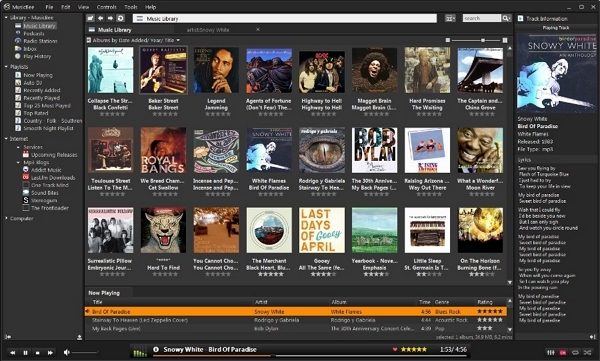 MusicBee is an efficient tool to organize, search and play music files on your desktop computers or laptop PCs. 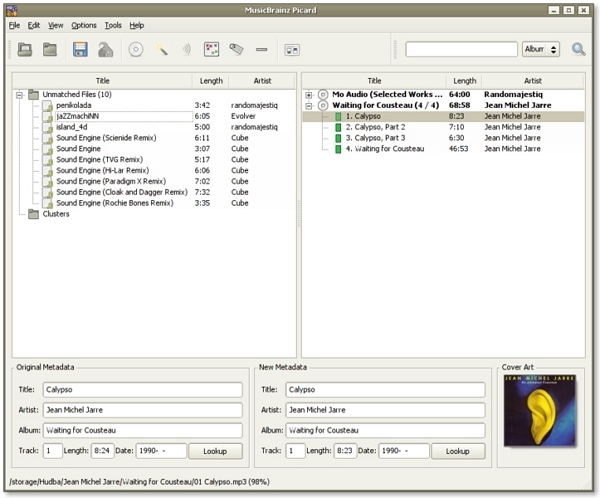 In contrast to the other competitors, MusicBee is a freeware that includes all the basic and advanced features of an efficient music organizer. Using this application, you can organize your music library easily. 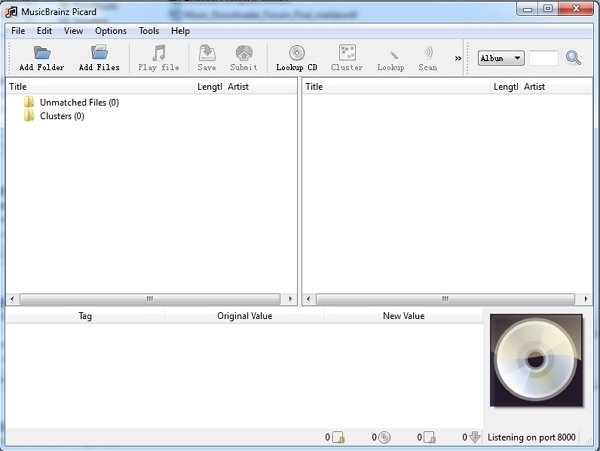 The software uses BASS Audio Library. •	MusicBee is an unrestricted freeware that runs as a standalone app on your device. •	The application comes with a plain and intuitive interface that streamlines the process of organizing your music library. 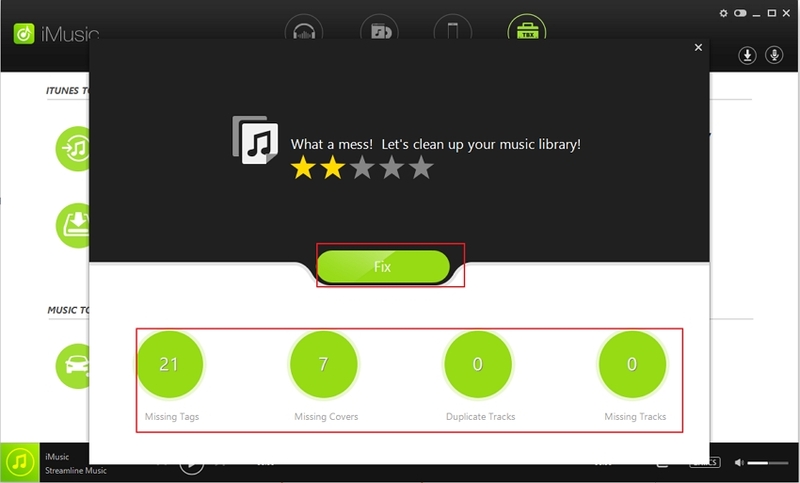 •	MusicBee automatically finds and fixes the missing metadata of your media files by searching the information from online databases. •	The advanced music player comes with a gapless playback feature that enables you to play audio files without interruption. •	You can import media files from your iTunes library and Windows Media Player using MusicBee. •	The software allows you to conveniently organize your audio files into folders based on tag values such as album, name, genre, etc. •	The application does not have a built-in video player. •	MusicBee gets downloaded as a .ZIP file which, at times, creates issues during installation. •	Multiple number of settings become cumbersome at the beginning. If you want to use a standalone software to organize and manage your massive music library, MediaMonkey is one of the best music organizers to do the needful. The application is a fully integrated music player, organizer, and encoder that enables you to play audio files of almost all popular audio file formats. The developers regularly upgrade the software for its proper functionality and sophistication. The latest version is 4.1.11 and has more than 40 upgraded features including better synchronization with Android devices. •	You can easily manage thousands of music and video files without bogging down your computer. •	The intuitive feature of the application automatically fixes and tags the metadata of the audio files. 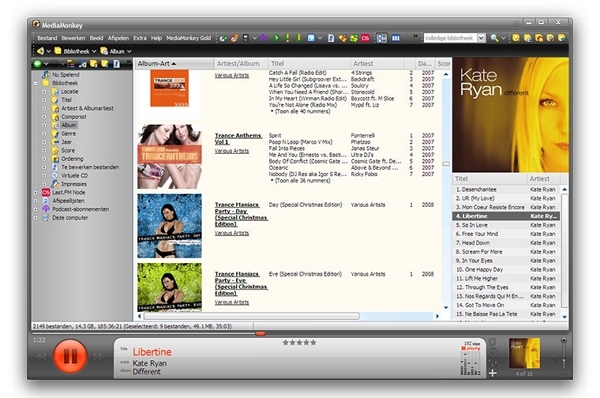 •	The software allows you to create and manage customized playlists. •	The customizable interface makes it attractive and easy to use. •	Most of the streaming radios are supported by the application. •	The browser window of the software provides limited options. •	MediaMonkey does not provide podcasts. 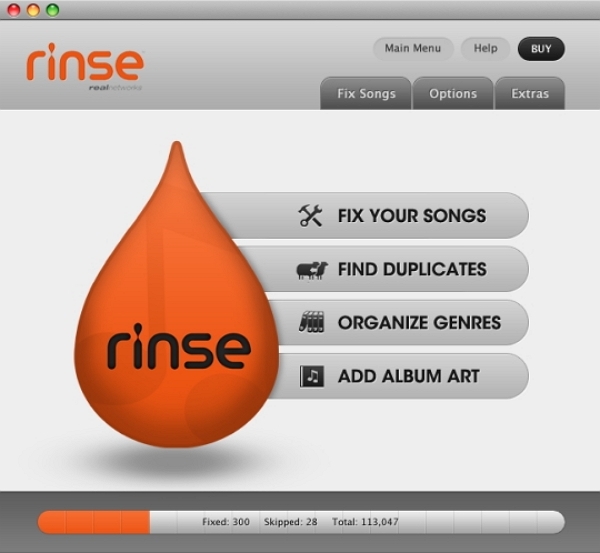 Rinse My Music is a third-party software and an Adobe Air application that promises to organize and restore your massive iTunes library efficiently. 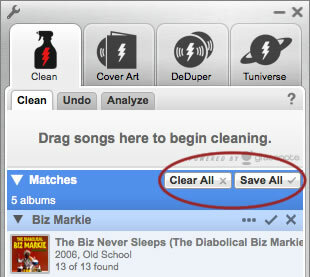 This is an automated cleanup tool that solves your iTunes organizational issues quickly and effectively. The latest version of Rinse My Music comes with an optional iTunes toolbar that allows you to launch and access the application from within the iTunes itself. Although it is a paid application, it is worth the asking price of $39.99 (at the time of this writing) if you have a huge collection of music in your iTunes library. •	Rinse My Music automatically adds high resolution album arts to your audio files making your library all more attractive and visually pleasant. •	The software allows you to create customized playlists from your iTunes library according to the genre of your audio files. •	This is a smart program that does not rely on the information provided by your media files for organization of your library. Instead, it comes with a large database from which it compares your songs to its own stored information. •	The application automatically fixes the missing tag information of your media files. 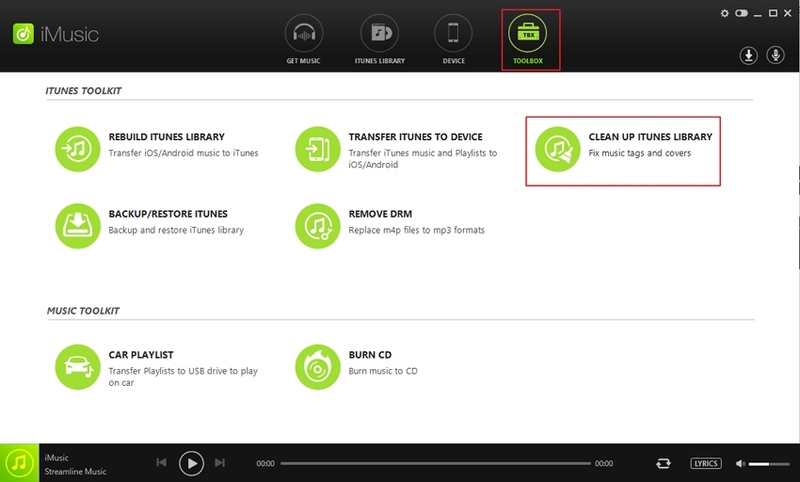 •	Using Rinse My Music you can efficiently remove the duplicate files from your iTunes library. What makes it better that other music organizers is that you can perform a test deletion to be certain that the correct songs are removed at the time of final removal. •	Rinse My Music is a paid application. The free trial version allows you to organize only 50 audio files in your iTunes library. •	The Help forum of the software is not distinguished and elaborated which creates problems for those who run into any issues related to its functioning. Supported Operating System: Mac OS X, Windows, and Linux. MusicBrainz Piccard is an official MusicBrainz tagger and music organizer that is written in Python programming language. Although this is a cross-platform compatible application, it works best with the Mac OS X platform. The advanced features are introduced in the latest version with an intention to make it the next generation music organizer for MusicBrainz. What makes it better than its competitors is that the latest version focuses on album-oriented tagging as opposed to track-oriented tagging that was there in the earlier ‘Classic’ version. This approach allows you to sort the files in a particular album leaving behind the unwanted ones. •	The acoustic fingerprinting technology used by the software automatically fixes and replaces the missing tag information of your audio files. •	The clean and streamlined interface of the software enables even the less experienced users to maneuver the application efficiently and with ease. •	MusicBrainz Piccard supports a wide range of file formats and also allows you to install additional plugins. •	The application comes with a built-in search engine, thus enabling you to find a wide range of audio files easily. •	Some users have expressed their concerns over the security and privacy issues as the software scans and rummages through the entire hard drive automatically. •	The Help Forum of MusicBrainz is not beneficent. Disclaimer: The best way to organize music is to find and use some tools. The described best music library organizers are considered the best ones based on average user ratings solely. There is no discretion and judgment provided by the author or the site whatsoever.